With the world's biggest streaming platform now with anime firmly in its sights, 2018 is set to be a big year for Netflix anime content. As well as kicking things off in a big way with the release of Devilman Crybaby, Netflix is also making waves with Violet Evergarden – the latest series from Haruhi and K-On! maestros Kyoto Animation. Based on the (Kyoto Animation award winning) light novel series by Kana Akatsuki, the series immediately garnered attention through its strange release pattern – simulcasting weekly in some territories but then surprisingly being held back in the US until the series was complete. But wherever you may reside its now here for you, complete with a selection of different language options. Being an anime fan has never been easier. After an extended stay in hospital following a mission that resulted in the loss of both her arms, child soldier Violet is informed that the war is over. Relieved of her duty but having never lived life without taking orders, Violet is taken under the wing of Claudia Hodgins – army commander and friend to Violet's superior officer Major Gilbert Bougainvillea. 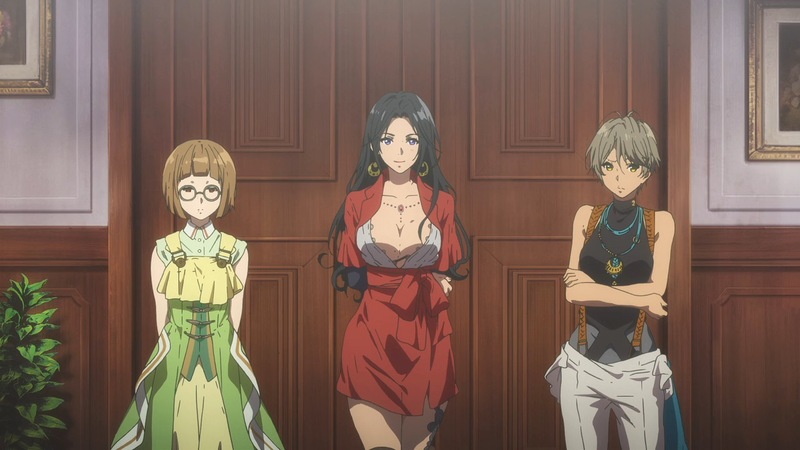 After helping to arrange her adoption into Evergarden family, Hodgins gives Violet new purpose working as part of the CH Postal Company. There she takes an interest in becoming an Auto Memory Doll – ghostwriters who convey the emotions of their employers into letters. 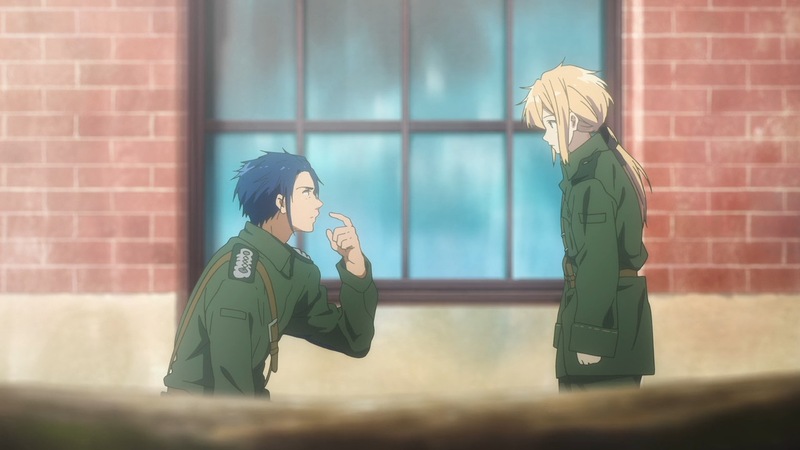 Though Violet struggles with emotions herself, she becomes determined to become an Auto Memory Doll and understand the last words the Major said to her – "I love you". What follows is Violet's journey as an Auto Memory Doll, as she visits numerous people across the nations each with their own different requests. But with the remnants of the war still brewing, Violet must also come to terms with her actions as well as the fate of her Major. There was several reasons why someone might tell you to watch Violet Evergarden, but odds are one of the first things that'll come up is the way it looks. Even though they mainly have a reputation for cutesy slice-of-life anime Kyoto Animation is a studio that's always been about the detail – you only have to look as far as the real-life locations they cram into their shows to see that. 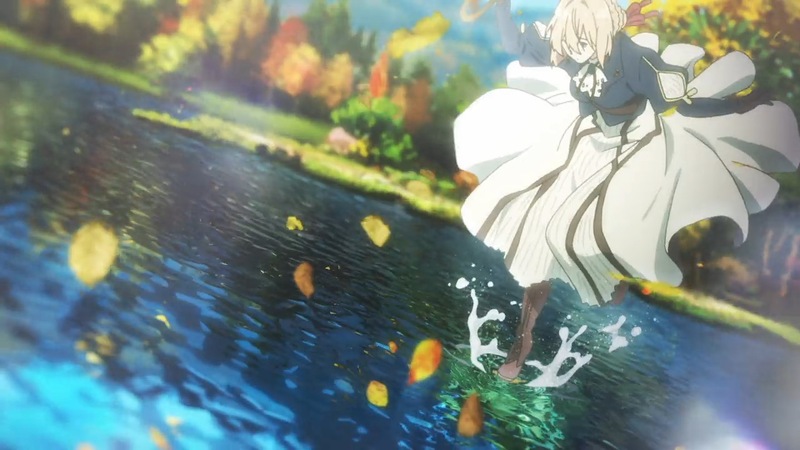 But even for their incredibly high standard Violet Evergarden really is something else, and wastes absolutely no time dazzling viewers with its rich colours and immersive quasi-European setting. The fact that episodes were completed months ahead of their airdate speaks for itself, given how much of a rarity that can be in the industry. 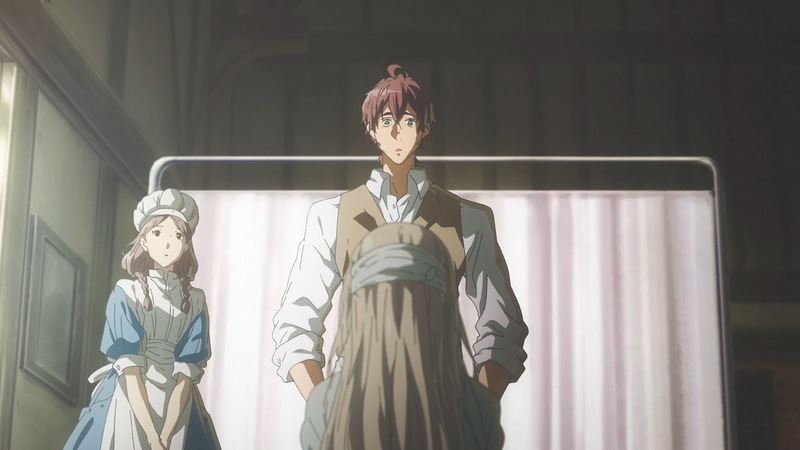 Paralleling itself with Netflix's own mandate of "quality" programming every episode of Violet Evergarden is near-movie quality, with both the character designs and scenery realised in painstaking detail. Part of this immersion also relies on getting up close and personal with the characters, which is something the show uses to mixed effect. As unequivocally Violet's story she is the main focus at all times, which leads to many of the other recurring cast members quickly falling to the wayside despite the occasional focus episode. But the trade off for this are the benefits it brings to Violet herself, who is wonderfully developed throughout the course of the show's 13 episodes. Though it seems like Violet's demeanour barely changes the show masterfully expresses her development in the most subtle of ways, be it through dialogue, speech inflections or her overall body language. 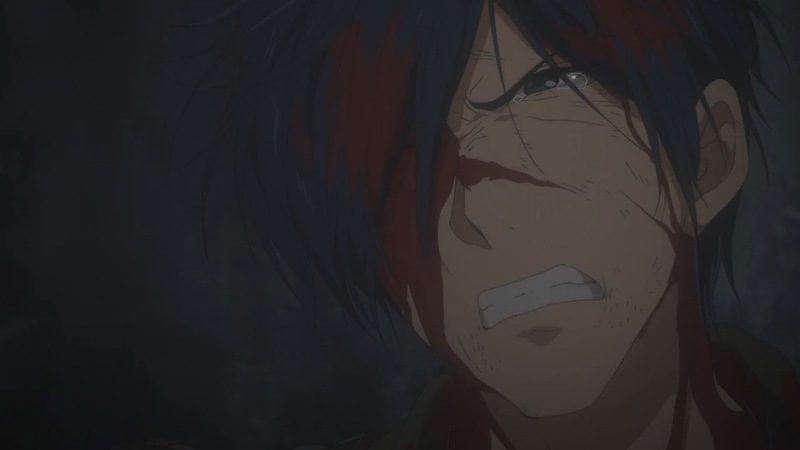 Though the show is deliberately vague in her origins and just how she came to be the army's living weapon, it shows just enough to emphasise the horrors of her previous life. But despite the communication issues, prosthetic limbs and obvious PTSD, Violet never feels like a victim. Her need to follow orders comes from the fact that's all she's ever known, but her journey is spurred on by her own independence. Violet Evergarden's real strengths don't lie in its overarching story though, but rather the individual stories it chooses to tell as Violet carries out her work as an Auto Memory Doll. Most of these are completely self-contained and episodic, focusing on a different situation that Violet is able to solve through the power of letter writing and get that one step closer to learning what "I love you" means. These are the characters that truly stick with the viewer, as many of these scenarios will be somewhat relatable to them even if it isn't on the surface level. And it's this realness that makes Violet Evergarden not only captivating at the time, but also the kind of show that you need time to fully digest afterwards simply because of the raw emotions it conjures up. Compared to this the ongoing elements of the story, such as the background war elements or more significantly Violet's acceptance of the Major's death, seem surprisingly overshadowed. The latter example plays an extremely important part in Violet's post-war development, but just doesn't really have the same emotional resonance even when it has more episodes to play with. That isn't to say Violet Evergarden's larger story is bad by any means, it just simply isn't where its strengths lie. 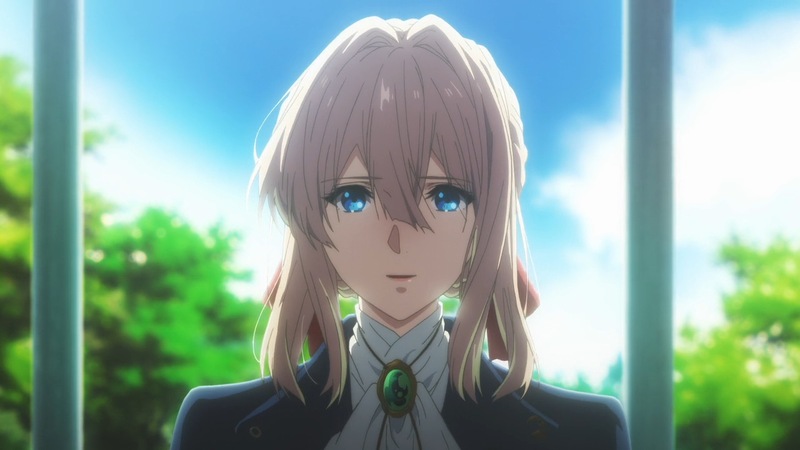 However its portrayal of these strong emotions often prove to be Violet Evergarden's downfall, with the show seemingly unable to convey them in moderation. On the one hand episode 10 of the series, in which Violet visits a dying mother who seems to be prioritising letters over spending her final months with her child, is one of the show's most memorable episodes – pulling firmly at the heartstrings with an ending which could melt even the coldest of hearts. But on the other it is an unrelenting attack on the audience's emotions, reiterating the point again and again when the situation is could simply be implied just as effectively. For those who have ever lost a parent at a young age the episode isn't just relatable, it's an utterly harrowing experience that forces you to relive what's likely one of the toughest periods in your life. 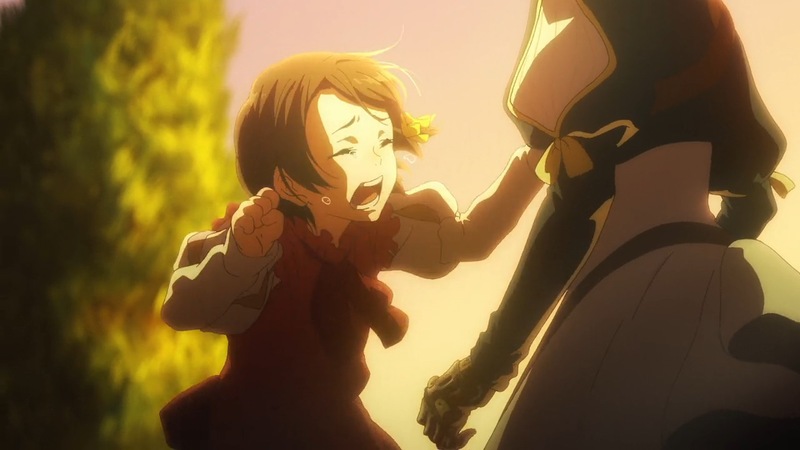 This isn't the only episode guilty of this, though it is the moment where it becomes just how reliant Violet Evergarden is on exploiting its audience's feelings. Scenes linger on far more than they need to and suddenly the whole thing seems less about Violet's journey and more about what heartbreaking situation she's stumbled onto this week. 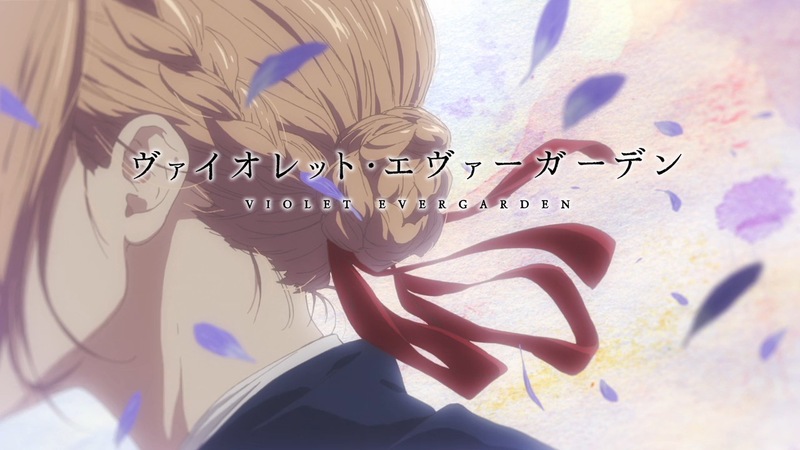 Naturally emotions vary person to person so mileage will of course vary, but Violet Evergarden is undeniably stronger when works through mood and symbolism than it does constantly signposting for the viewer just how sad they should be at any given point. Though it's still early days to determine the best anime series of 2018, Violet Evergarden has certainly established itself as a strong contender. Despite a tendency to often hammer the point home a little too firmly, the strong emotions that both the stories and characters evoke are very real. The usually impressive Kyoto Animation have also completely outdone themselves when it comes to the visuals, so much so that even the weaker elements of the narrative often seem to fade away in the moment just because how beautiful everything looks. If 2018 really is poised to a big year for "Netflix Original" anime, with the likes of Violet Evergarden leading the way it isn't hard to see why. Nice! It is Netflix original! I have become a fan of Netflix after I watched shows by Andy Yeatman over there. It’s probably because of the work he has done and the content he offered to Netflix which is commendable and would want him to make more of such shows in the coming time.